Romer Labs currently operates 4 fully accredited service laboratories in Austria, the United Kingdom, Singapore and the United States. The laboratories are equipped with cutting-edge technology in the fields of chromatography, DNA and immunological analysis. Both the ISO 9001 certification and ISO 17025 accreditation guarantee reliable and accurate results. We uphold our standards of accuracy and reliability by participating regularly in official proficiency testing programs. Our testing laboratories offer services for the analysis of mycotoxins, food allergens, GMO, veterinary drug residues, pesticides, and meat speciation. Mycotoxin testing services are offered in Austria, the United States and Singapore for a variety of sample matrices, including grains and other raw materials, and feed and food samples. Both the ISO 9001 certification and ISO 17025 accreditation guarantee reliable and accurate results. Food allergen testing services are offered in Austria, UK, US and Singapore for a variety of food allergens in various raw materials and finished food samples as well as rinse waters and environmental swabs. Both the ISO 9001 certification and ISO 17025 accreditation guarantee reliable and accurate results. GMO testing services are offered in UK and the US. Both laboratories are ISO 9001 certified. In UK, Romer Labs offers fully accredited GMO testing services according to ISO 17025. Melamine Testing Services are offered in 2 of the ISO 9001 certified Romer Labs laboratories in Singapore and US. Veterinary Drug Residue (VDR) testing services are offered in the ISO 9001 certified Romer Labs laboratory in Singapore. Pesticide testing services are offered in the ISO 9001 certified Romer Labs laboratory in Singapore. 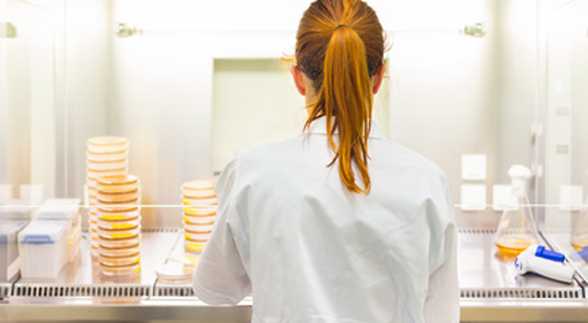 Meat speciation and food authenticity services are offered in the ISO 9001 certified Romer Labs laboratory in UK.